There were a number of Freemasons involved in the American War of Independence and the French Revolution; prominent men such as George Washington, Benjamin Franklin, Lafayette, and Jean Paul Marat. The revolution that emerged in Latin America also involved a number of leading men who were Freemasons or were connected to Freemasonry; revolutionaries such as Simón Bolívar, José de San Martín, Bernardo O’Higgins and Francisco de Miranda. The complicated nexus that interlinks these men and their ideals certainly intertwines with the growth of the Enlightenment of the period and indeed with Freemasonry, as is the shadowy links to Britain that some of these men had at the time. Francisco de Miranda was a military commander, revolutionary and Freemason. He was a born in Venezuela in 1750, and after leaving for Spain, he paid for a commission in the Spanish army, and fought in a number of campaigns. He became involved in the American War of Independence and the French Revolution, and met such luminaries of the Enlightenment as George Washington, Thomas Paine and Lafayette, before leading expeditions to invade Venezuela in an attempt to overthrow the Spanish Royalist government. Miranda had developed the idea of an independent Latin America that stretched from the Mississippi River in the north to Cape Horn in the south, and he was to become a figurehead in the quest for revolution in the Spanish American Colonies. In 1806, Miranda managed to obtain informal British help for his expedition, though it ended in failure, Miranda escaping to the British Caribbean, before making his way to Britain, where he endeavoured to gain further support. A year earlier, he had sought assistance from Thomas Jefferson and James Madison, but they had kept their distance from the scheme. After the failure of the first expedition, another expedition was to be assembled in 1808, headed by none other than erstwhile Freemason Arthur Wellesley – later to be the Duke of Wellington – but Napoleon’s invasion of Spain put a stop to the venture. It was to be two years later when, after Napoleon took the Spanish Crown that a junta took control of Caracas, and Miranda was invited to join the new government by Simón Bolívar while he was seeking support on a diplomatic visit to Britain. Miranda was persuaded by his fellow Freemason, but the decision was to be a fatal one; Miranda took the role of leading the Republic’s forces, but, by 1812, the Spanish Royalist forces had gained the upper hand, and Miranda, believing the situation to be hopeless, tried to escape on a British ship. He was captured by Bolívar and some fellow revolutionary officers, and was turned over to the Spanish forces, where he was imprisoned, dying in jail in 1816. José de San Martín was an Argentinian military commander, revolutionary and Freemason, although his Masonic membership hinges somewhat on his links to the ‘Lodge of Rational Knights’, otherwise known as the Lautaro Lodge. This lodge was more of a collection of like-minded men who wished to promote the ideals of the Spanish Enlightenment; ideals of liberty and equality under the guise of a Masonic gathering. San Martín had fought in the Peninsular War against France, and was influenced by the ideas of the Spanish Enlightenment while staying in Cadiz, where he may have been introduced to the Lodge of Rational Knights. After ‘retiring’ from the army and settling in London for a while, he resided at the same house where Freemason Francisco de Miranda had lodged in Grafton Street a number of years before. San Martín then set sail for Argentina in January 1812 on a frigate called George Canning – named after the Freemason – with Carlos María de Alvear and Matías Zapiola – two other members of the lodge – and on arriving in Buenos Aires, the three of them formed a new lodge that promoted the ideals of liberty and assisted in spreading the ideas of independence from Spain. San Martín became colonel of the revolutionary army during a long war with the Royalists; he commanded the Army of the North in Upper Peru, the Army of the Andes which allied San Martín with fellow Freemason Bernardo O’Higgins, who became the leader of Chile, and San Martín became Protector of Peru after declaring its independence in 1821. He met with fellow Freemason and Revolutionary Simón Bolívar at the Guayaquil Conference on the 26th of July, 1822, and there was an intention to join forces and defeat the remnants of the Royalist forces in Peru. However, after the conference, Bolívar and San Martín did not join forces, and San Martín resigned as Protector of Peru, going on to leave South America, living the rest of his life in exile in Europe. He died in 1850, his body eventually being repatriated and finally being laid to rest in Buenos Aires Metropolitan Cathedral in 1880, though, as he was suspected of being a Freemason, his mausoleum was situated in an extended wing of the Cathedral. 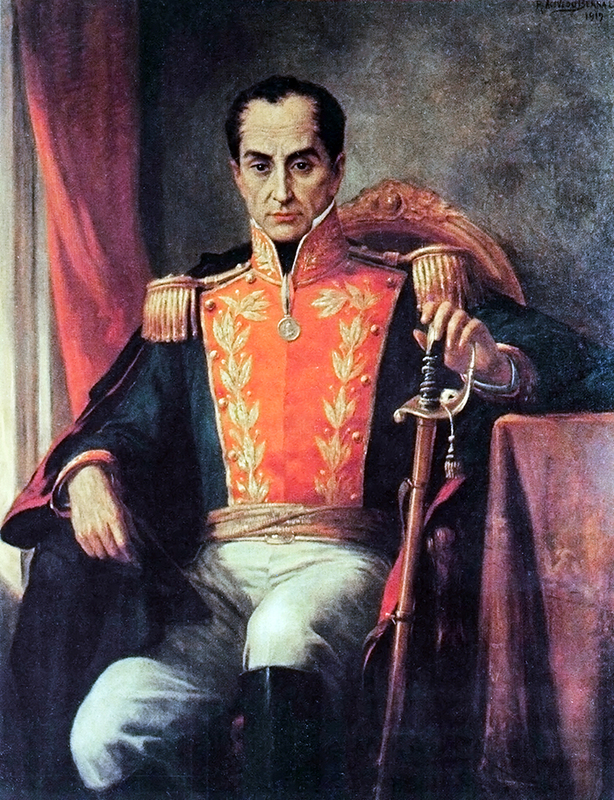 Simón Bolívar was a Venezuelan military and political leader, and a Freemason. Bolívar came from an aristocratic Creole family, and after his wife died, he ventured to Europe, where he became a Freemason in Cadiz in Spain, his visit shaping his ideas on liberty and on politics; he admired the British politician and Freemason George Canning, and also admired the Romantic poet Lord Byron, who also became involved in revolutionary activities in Greece and had been involved in the quasi-Masonic Carbonari. It was on his return to Venezuela that his political and military ideas could be put to use; after Napoleon had taken the Spanish Crown, Caracas in Venezuela formed a junta in 1810, and Bolívar was among those chosen to travel to London on a diplomatic mission to gain recognition and support. While in London, Bolívar met with Arthur Wellesley and approached the exiled Miranda to become directly involved in the new Venezuelan junta. On arriving back to Venezuela, independence was declared and Miranda, after an introduction by Bolívar, was placed in command of the new Republic’s army. 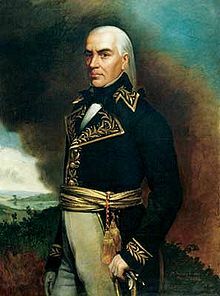 Despite being a Mason, it did not stop Bolívar from arresting fellow Freemason Miranda as a traitor to the Republic in 1812 after suspecting him of fleeing from Spanish Royalist forces, passing him on to the Spanish Royalists who then shipped to Spain to languish in a prison until his death a few years later. Bolívar went on to become a leading commander of the Republican army, being aided by British soldiers fresh from the Napoleonic Wars. He fought tirelessly in Venezuela – helping to restore the Venezuelan Republic twice, both of which he served as President – and in Peru, where he also became President, and a new country was founded in his honour called Bolivia. 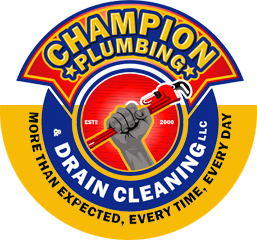 He was said to have founded a lodge in Peru in 1824 and to have become a Scottish Rite Mason. His vision was to found Gran Colombia; a collection of states that included Columbia, Venezuela, Ecuador, Panama, northern Peru, western Guyana and north western Brazil. This vison collapsed after his death in 1830 of tuberculosis, but Bolívar would always be known as El Libertador – the Liberator. Bernardo O’Higgins, as the name suggests, was of both Spanish and Irish descent; he was the illegitimate son of Ambrosio O’Higgins, a Spanish Officer and Adventurer born in Ireland. Bernardo O’Higgins was born in Chile, and though he never met his illustrious father, Ambrosio paid for his education, and he was eventually sent to England to complete this education. It was while he was in London that he met Francisco de Miranda, joining a lodge that had been established by Miranda and becoming introduced to ideas about American independence. Miranda’s lodge in London seemed to be similar to the Lautaro Lodge; a collection of men with similar ideas, influenced by the Enlightenment and promoting the vision of an independent Latin America. O’Higgins returned to Chile in 1802 with these ideas, and in 1810, he took a role in acting against the French dominated Spanish government when a junta was formed in Chile. He had some military training and proved himself in battle against the Spanish Royalists, rising to become colonel, but as the republicans were divided with differing ideas on the future of independence, the Spanish Royalists made gains and O’Higgins escaped to Argentina. 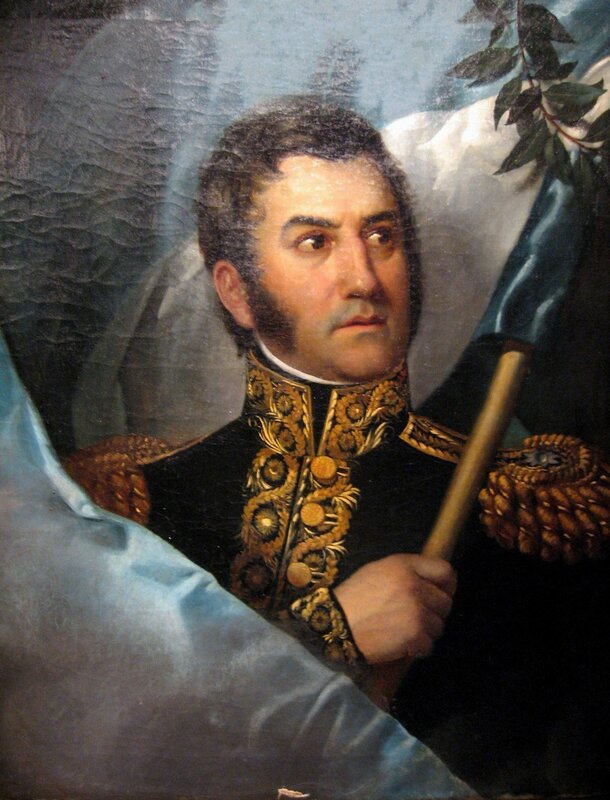 It was in Argentina that he met fellow Freemason José de San Martín, who shared a similar political vision to O’Higgins, and together they went to Chile to defeat the Spanish Royalists in 1817, with Chile declaring itself as an independent Republic in 1818. 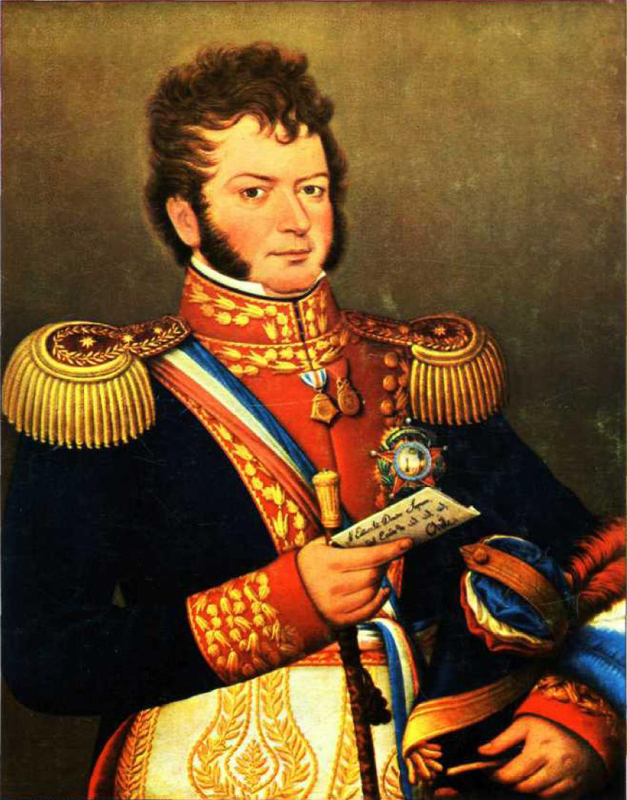 O’Higgins became the Supreme Director of Chile in 1817, a position he held until he was deposed in a coup in 1823. After being deposed, O’Higgins went to Peru where he met with another Freemason Simón Bolívar, and offered support to fight the remaining Royalist forces there. He was to stay exiled in Peru until his death in 1842. His remains were finally returned to Chile in 1869. For men such as these that sought liberty and equality, Masonic and political visions merged to form a revolutionary idealism. The type of Freemasonry that the Lautaro Lodge practiced and promoted was certainly of a more political flavour; creating an outlet for like-minded men such as Miranda to examine the Enlightenment and to help form a vision for their ideas on a united independent Latin America. These ideas changed South America; creating new countries such as Bolivia, and changing the political structure of Latin America forever. The above article by Dr David Harrison was previously published in The Square, November 2016.